Mark Eric Seinfelt was born on February 27, 1962, in Indiana, Pennsylvania. He attended university and public schools and represented Indiana Area Senior High School at the Pennsylvania Governor’s School for the Arts at Bucknell University in the summer of 1979 where he was enrolled in creative writing. In 1983, he earned a Bachelor of Arts degree in English from the Pennsylvania State University. He accelerated at Penn State, completing his studies in three years instead of the customary four. A university scholar and honors student in English, he graduated with distinction. His thesis in creative composition, the final requirement in the university scholar honors program, The Mozart Machine: an excerpt received the Henry Sams Memorial Award of 1983, the highest honor bestowed on an English Honors thesis at Penn State. As a student at the university, Seinfelt studied under novelist and screenwriter Robert C.S. Downs and critically acclaimed author Paul West, whose awards include the Lannan Prize for Fiction, the Literature Prize of the American Academy, and the designation Chevalier of Arts and Letters from the government of France. Author Thomas Rogers and critic Philip Young sat on the Henry Sams Memorial Award committee judging the honors theses in 1983. In May of 1987, Seinfelt received a Master of Fine Arts in Writing from Washington University in St. Louis where he was the recipient of a three-year tuition scholarship, fellowship, and teaching assistantship; and where he completed the novel The Mozart Machine. The chairman of his dissertation committee was the noted fiction writer, philosopher, essayist and multiple National Book Circle Award-winner William H. Gass. Seinfelt’s was the only creative writing thesis Gass had ever consented to supervise during his years at Washington University. At St. Louis, Seinfelt also studied under Stanley Elkin, Lee K. Abbot, Donald Finkel, Diane Ackerman, Charles Newman, and Pulitzer Prize winning author and United States Poet Laureate Howard Nemerov. Since receiving his MFA, Seinfelt has completed four more novels Henry Boulanger of Mushannon Town, Steiglitz’s Folly, Intrusive Voices, and At Last the Distinguished Thing. His fiction has been featured in Kalliope and Chicxculub. In September 1996, a chapter from his suicide-study-in-progress Final Drafts was published in The Bookpress: The Newspaper of the Literary Arts, a Cornell University publication. Final Drafts was Seinfelt’s first book to reach publication. Acquired by Prometheus Books, it saw print in December 1999. Prometheus is a commercial press specializing in non-fiction and is the publisher of Steve Allen, Peter Ustinov, Leslie Fiedler, and Jack Kevorkian, among others. On January 16, 2000, Seinfelt was the featured guest on Book Gallery, a nationally syndicated radio talk show. Also that year an entry on Seinfelt appeared in Contemporary Authors, a reference series that provides information on approximately 112,000 writers in a wide range of media, including fiction, nonfiction, poetry, journalism, and screenwriting. In February 2004, Final Drafts was chosen as an alternate selection of The Readers’ Subscription Book Club. In 2008, his novel Henry Boulanger of Mushannon Town was a semi-finalist in the Amazon.com Breakthrough Novel Award contest and was subsequently published by the Amazon subsidiary BookSurge/ Create Space. 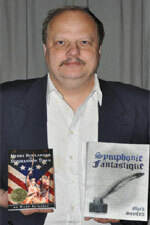 In August 2009 BookSurge/ Create Space also published Symphonie Fantastique, a collection of his shorter novels. Seinfelt is single and presently resides in Philipsburg, Pennsylvania, where he serves as a trustee and grant writer for the Philipsburg Historical Foundation and as secretary for the Committee for a Moshannon Valley Veterans Memorial. He is an avid reader and sportsman. An amateur pianist, he also enjoys fencing, fishing, hiking, swimming and spelunking. Symphonie Fantastique chosen to receive Honorable Mention Award in the category of General Fiction at the 2016 Amsterdam Book Festival, which honors books worthy of greater attention from the European market The Amsterdam Book Festival considers major publisher, independent publisher and self-published works in non-fiction, fiction, biography/autobiography, children's books, compilations/anthologies, young adult, how-to, photography/art, poetry, spiritual/religious, travel, history and the wild card (anything goes!). Entries can be in Dutch, English, French, Spanish, German or Portuguese. There is no date of publication restriction. The Grand Prize winner in 2016 was Greg Steinmetz's "The Richest Man Who Ever Lived: The Life and Times of Jacob Fugger" (Simon & Schuster), the fascinating tale of a Renaissance banker whose fortune at his death amounted to nearly two percent of European GDP, a total not even oil magnate John D. Rockefeller attained. Seinfelt's "Symphonie Fantastique" is a novel consisting of four interrelated yet discrete parts --At Last the Distinguished Thing, Steiglitz's Folly, The Mozart Machine, and Intrusive Voices -- and a fifth movement, an Appendix, consisting of two short stories and an essay. Each of the four main sections deals with a haunted individual. Reviewing the book, master novelist Paul West, recipient of the Literature Award from the American Academy of Arts and Letters and a Chevalier of the Order of Arts and Letters by the French government, wrote: "It is tumultuous, overpowering and yet meticulously planned. Few people have the oomph to rise to this for a second novel. A superbly literary feat." As a result of its having placed in an accredited international competition, Seinfelt's "Symphonie Fantstique" was enrolled in "The Table of Honor," a unique new book marketing portal spotlighting the best of international book festivals. Books appearing there are considered the best of the best, certified by judges to be worthy of reader, publisher, retail and library attention. 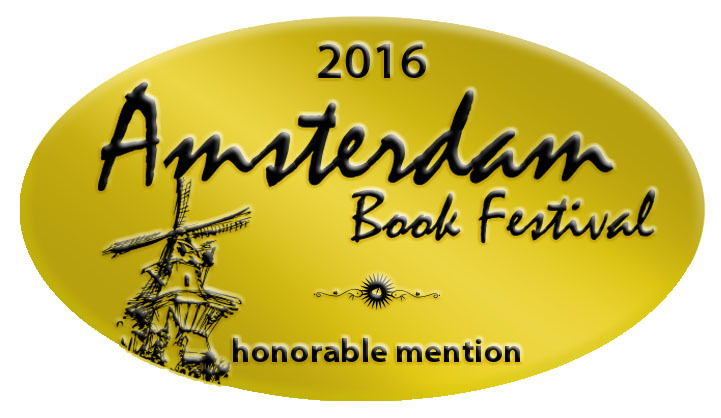 See the Links section to view to the 2016 Amsterdam Book Festival and Table of Honor web pages. On April 18, 2011, Mark Seinfelt will be launching his own internet radio talk show "Word Patriots"on WebTalk Radio.net. The internet is the future of radio and WebTalkRadio is number one in the business, the best in internet talk radio. The following is a description of Seinfelt's show: "Books are your passport to the universe. From your own chair you can be transported anywhere, travel to any time and explore the mysteries and grandeur of all creation. Reading not only feeds the imagination but is essential to our intellectual development. From period literature to futuristic science-fiction, Mark Seinfelt and his guests will celebrate heroic authors and iconic characters. Tune in each week and embrace the joys of reading and literature through this lively repartee from the literary world." WebTalk Radio is distributed by Matrix Media, a Chicago based talk radio firm. Seinfelt's first guest will be novelist Ed Desautels. You will be able to download the first show April 18 at http://webtalkradio.net/. On January 21, 2011, Mark Seinfelt’s new novel Baldr and Beatrice was published by CreateSpace. To learn more about this tears-through-chuckles tale, see the product description in Books. 2010 marks the North American Bookdealers Exchange’s 30th year in business serving writers, publishers, and the reading public. Each year for the past 25, NABE has honored some of the finest books published by independent publishers in a wide variety of genre categories. Winners receive honor and mention in NABE’s quarterly bookselling magazine “Book Dealers World,” which is published both online and offline, a special Pinnacle Award Winners web page on the NABE site, and press releases announcing the Awards on the web. As a Pinnacle Book Award winner, Henry Boulanger of Mushannon Town will be featured at North American Bookdealers Exchange Book Showcase Exhibits at Book Trade Shows this year including Fall Pacific NW Booksellers Show, California Book Trade Show, and California Library Association Show and Conference. In 2008, Henry Boulanger of Mushannon Town was also selected as a semi-finalist in the Amazon Breakthrough Novel Award contest. 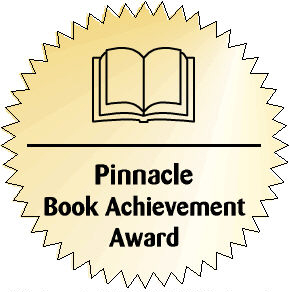 The Pinnacle Awards will be announced in May in a special edition of “Book Dealers World.” See the Links section to view the Spring 2010 Pinnacle Award Winners web page. To say Mark Seinfelt is a prolific author would be an understatement indeed. Mark has honed his craft with many noted writers including William H. Gass, famous for his National Book Circle award winning essay collections, and his novella, "In the Heart of the Heart of the Country." Mark also studied under critically acclaimed author and Lannan Lifetime Acheivement award winner, Paul West as well as novelist and screenwriter Robert C.S. Downs. Read about Mark and his highly acclaimed literary works in Publisher Profile. Visit Amazon.com's Mark Seinfelt Page and shop for all Mark Seinfelt books and other related Mark Seinfelt related products. Check out pictures, bibliography, biography and community discussions on Mark Seinfelt. Career: Writer. Co-founder of Kalliope (literary magazine). Mark Seinfelt discusses some of the great figures in literary history who have taken their own lives in his book Final Drafts:_Suicides_of_World_Famous_Authors. Slyvia Plath, Ernest Hemingway, Virginia Woolf, and Jerzy Kosinski are some of the better-known authors covered in Seinfelt's study, but a total of more than fifty self-inflicted deaths is included in this analysis of psychic pain and desperation. Seinfelt examines references to suicide or hopelessness in the author's work and private papers. He includes the authors who killed themselves by a slow process of self-destructive behavior as well as those who took their lives in one dramatic act. He examines various motives and mental illnesses that led to the suicides, including guilt, depression, feelings of extreme self doubt, substance abuse, and frustration with the world's ills. Seinfelt also probes the fact that suicide was extremely uncommon among writers before the twentieth century; he suggests that the taboo against it has weakened considerably in an era that has seen widespread genocide and carnage from high-tech weapons. "Final_Drafts is an intruguing bedside-table book, better for dipping into than reading at a stretch," commented Randall Curb in a review for BookPage. "The stories are necessarily grim and disturbing, but the subjects rarely fail to fascinate." A Publishers Weekly reviewer commented that Seinfelt offered "nothing factually new," but called Final_Drafts a "handy source for checking...favorite authorial suicides," while Booklist contributor Mary Carroll believed that Seinfelt's short biographies would "send readers back to his subjects' own works." Curb echoed that sentiment, saying that Seinfelt "performs a more valuable service than merely rendering a downward spiral: He makes you want to read their work." 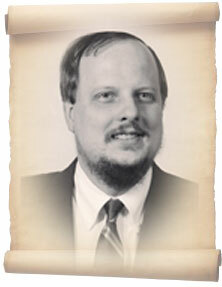 BookPage, http://www.bookpage.com/ (December 22, 2000), Randall Curb, review of Final Drafts.